Potential purchasers of electric cars tempted by the benefits of quickly-improving battery capacity might still hesitate if the public charge point network doesn’t keep pace with changing technology. 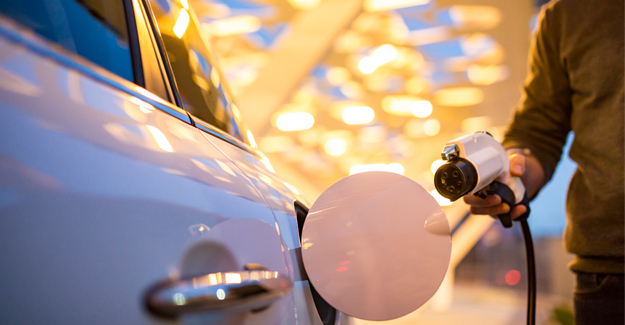 While range-anxiety is set to become a thing of the past, without widespread, reliable and simple-to-use charge points the practicalities of ‘filling up’ electric cars could limit the mass-market appeal of ultra-green vehicles. It could also hamper the government’s plan to ban the sale of conventional petrol and diesel cars by 2040. If unacceptable delays in refuelling are to be avoided, the big strides being made by car manufacturers in battery performance – reflected in the growing distance vehicles can travel – needs to be matched by a rollout of high-performance public charge points, particularly on motorways and major A roads. Lack of standardisation of connectors and charging protocols has resulted in a bewildering array of types of charge point, connectors and tariffs which is poorly presented to the public. As of June 2017, there were 4,476 public EV recharging sites with a total of 6,913 devices and 12,849 individual connectors. This compares with about 8,500 petrol stations. By the end of June 2017, 113,000 claims had been made under the government’s plug-in car and van grant schemes which gives buyers of the greenest vehicles a subsidy of up to £4,500. The scheme for cars started in 2011, and for vans in 2012. The report highlights the need for improved understanding of the types of charging required by both battery electric vehicles and plug-in hybrid electric vehicles and how this needs to be matched to customer demand. It makes clear that the rapid take-up of electric vehicles required to meet the Government’s recent confirmation that no new wholly petrol or diesel-fuelled cars can be sold after 2040 will only happen if there is a step change in the approach to providing an adequate national charge point network. The Committee on Climate Change has previously said that for the UK to reach its emission-cutting goals, 16% of new cars sold in 2020 should be ultra-low emission vehicles. In 2016 the proportion was 1.4%. “Almost every day companies are announcing their latest foray into the electric car market but the charging network threatens to be the weak link. “Although four out of five electric vehicle owners are able to charge at home, a robust public charging network is critical for enticing people to go electric make the leap to ‘pure’ electric. “We may be on the cusp of a motoring revolution, but step-changes in vehicle technology must be matched by equally big strides in our recharging infrastructure. The Automated and Electric Vehicles Bill offers the opportunity to make sure that happens. “Few of the nation’s 30 million car owners think twice about the process of refuelling with petrol or diesel: pull onto a forecourt, flip the filler cap, insert the nozzle and a couple of minutes later the job’s done. “Not so with plug-in electric cars, where you need to find the right charger at the right location with the right tariff scheme. Even then it needs to be serviceable and not already in use by someone else. “The danger is that the future of the electric car suffers the equivalent of bed blocking in the NHS, with queues of frustrated drivers stymied by the lack of adequate, widespread, reliable refuelling opportunities. “This report differentiates between the so-called early adopters, who might well have bought an electric car for lifestyle and environmental reasons, and the next generation of drivers who are likely care less about the fuel per se and more about how much it costs to buy and run a car, how easy it is to use and whether it holds its value.